This is the inaugural edition of the recipe of the month. I plan to share a homemade recipe each month varying from “healthy” to “indulgent” because at the end of the day we’re all human! Yes, we need to take care of ourselves, but some indulgence once a week, not only keeps you sane, but is healthy as well. Some call it the 80/20 rule. If you eat well 80% of the time, you can sway your food choices 20% of the time. 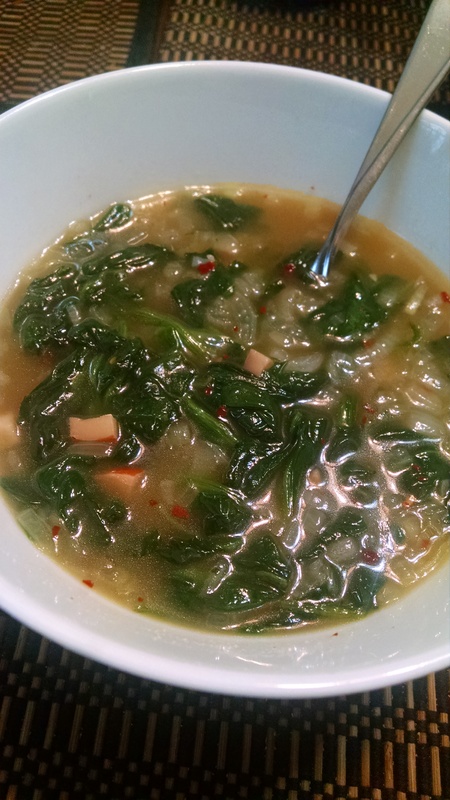 I present to you the Anti-Inflammatory Recovery Soup! This concoction was created on a whim one Saturday after an intense workout I did involving deadlifts, wall balls, rowing and handstand pushups. I happened to have everything on-hand and it turned out well and tasted good too. Check out the links to websites for anti-inflammatory and recovery benefits. Can certainly use vegetable stock if vegetarian & use fresh minced garlic if you have on hand. ⟵Do You Have a Newborn and Struggle to Get a Workout In?